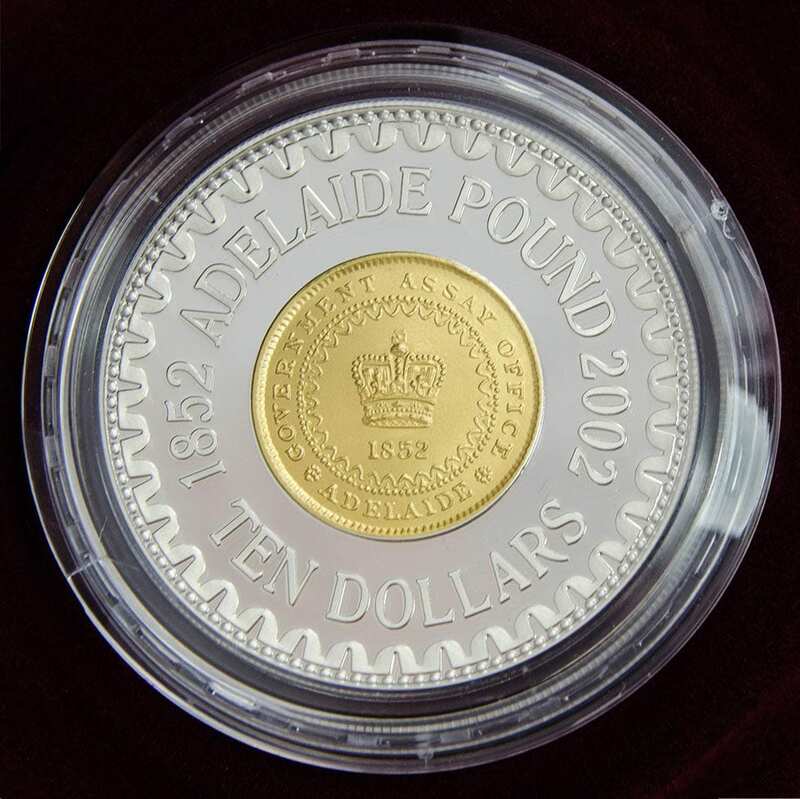 Ten Dollar Proof Coin combating the 150th Anniversary of The Adealide Pound (1852.) Bi Metal Issue. A genuine Adealide Pound was scanned by RAM. Their reduction punch was then cut directly by the Mint’s computer engraving machine to produce this beautiful example of the engravers past art, although reproduced by a computer.. 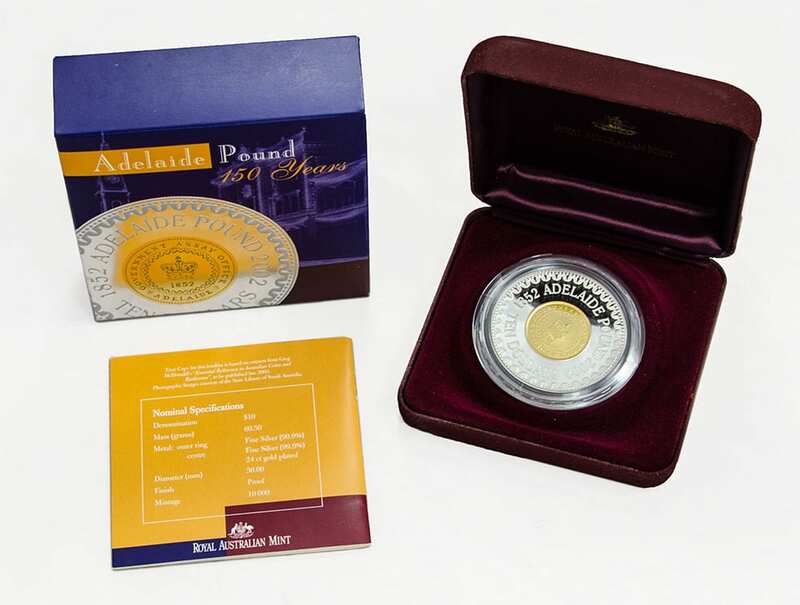 The coin is housed in a purple outer box with full certification. 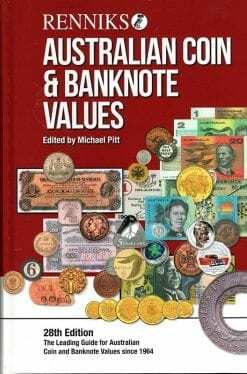 It is noted the Mint overproduced this run by 1 Set, he who holds the last coin by certificate holds a very valuable coin. One Only In Stock- BUY NOW.